Provide comfort for the family of Norman D'Angelo with a meaningful gesture of sympathy. Norman N. D’Angelo, 91, of Independence, MO passed away on April 3, 2019, surrounded by his loving family. The Rosary will be said at 6:00pm, with a visitation to follow from 6:30-8:30pm, Sunday, April 7th at St. Mark’s Catholic Church, 3736 S. Lee’s Summit Rd. in Independence. Mass of Christian Burial will be 10am Monday, April 8th at the church. Interment will follow with full military honors at Floral Hills Cemetery. Contributions may be made to St. Jude’s Children’s Hospital or the American Heart Association in his memory. Norman was born on December 11, 1927 in Kansas City, MO to Dominick and Sundena D’Angelo. He graduated from Northeast High School in 1945. Norman went on to serve in the U.S. Navy from January 1946 to December 1947 on The USS Stentor, receiving the WWII Victory Medal, American Area Campaign. He met Frances L. Fenner and they wed on October 15, 1949, at Assumption Catholic Church in Kansas City, MO. To this union were born two children. He was employed by AirCo, Westinghouse, and finally with Trans World Airlines from 1963 until his retirement in November of 1981. Norman was a member of St. Mark’s Catholic Church, a founding member of the Father Wallace Council of the Knights of Columbus, a member and State Chairman of the Knights of Columbus Clown Club, the American Legion Post #21 and the VFW, also serving as a scout leader for many years. In 1965, he and Frances built a lake home at the Lake of the Ozarks, which played a big part in their family life. Norman is survived by his son, Don (Georgia) D’Angelo of Lee’s Summit, MO; his daughter, Sandy (Mark) Hutchinson of Chilhowee, MO; grandchildren, David (Brandi) D’Angelo, Katie (Steve) Ritter, and Sean Hutchinson; and great-grandchildren, Elle and Andrew D’Angelo and Madelynn and Ethan Ritter. He is preceded in death by his beloved wife of 67 years, Frances L. D’Angelo; his parents, Dominick and Sundena D’Angelo; his granddaughter, Lauren D’Angelo, and his infant sister, Lucille D’Angelo. 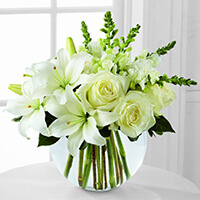 To send flowers in memory of Norman N. D'Angelo, please visit our Heartfelt Sympathies Store. 3736 S. Lee's Summit Rd. Consider providing a gift of comfort for the family of Norman D'Angelo by sending flowers. Lee's Summit ELPA Cohort 11 sent flowers to the family of Norman N. D'Angelo. Lee's Summit ELPA Cohort 11 purchased the The FTD Special Blessings Bouquet for the family of Norman D'Angelo.